Jim Allen Abel, Motorcycle Diaries (detail). Courtesy of the artist and Yeo Workshop. Jim Allen Abel, Motorcycle Diaries. Courtesy of the artist and Yeo Workshop. 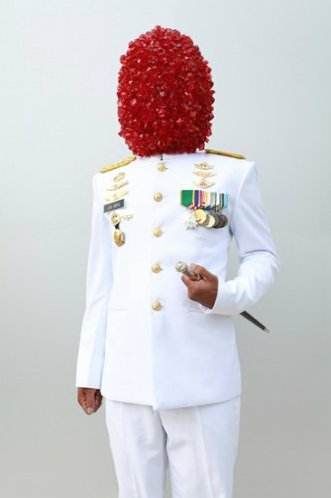 Board of Generals, 2012, Digital C-Type Print, 100x150cm. Courtesy of the artist and Yeo Workshop. Burning Down The History 2x (Reconstruction of the moment, Stage 2: Start burning down the building), 2016, Inkjet Photo Print on Dibond, 80 x 120cm. Courtesy of the artist and Yeo Workshop. Don’t be fooled by his charming air of a “son a gun” Porto Rican smuggler. Yes, it’s true that as a young man the artist spent a lot of time on the road with rock bands. It’s also true that some of his works are titled after countercultural literary milestones like Motorcycle Diaries. And you certainly can’t deny that he embodies the cool, friendly, relaxed spirit of the Indonesian photography collective MES56 perfectly. But if you are able to look beyond the irreverent, surreal and playful façade of Jim Allen Abel’s (who also goes by the name “Jimbo”) work, you will find an insightful reading of history and the socio-political reality of Indonesia. Down-to-earth yet captivating, the installation Motorcycle Diaries attracted many visitors at the Southeast Asia Forum sector of Art Stage 2017, the curated selling show of the art fair. 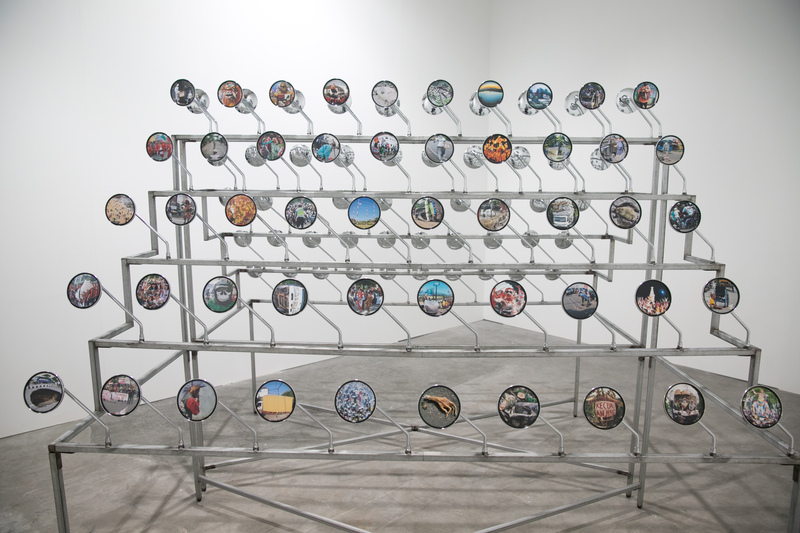 The piece consists of a structure made of motorbike mirrors, each one framing an image the artist captured while travelling around Indonesia, discovering and learning about the country. The reference is to Ernesto “Che” Guevara’s memoir, an account of his early travels with his friend Alberto Granado. On the back of a motorcycle dubbed “La Poderosa” (“The Mighty One”), they set out to explore the South America they only knew from books and to witness the many changes the continent was undergoing. 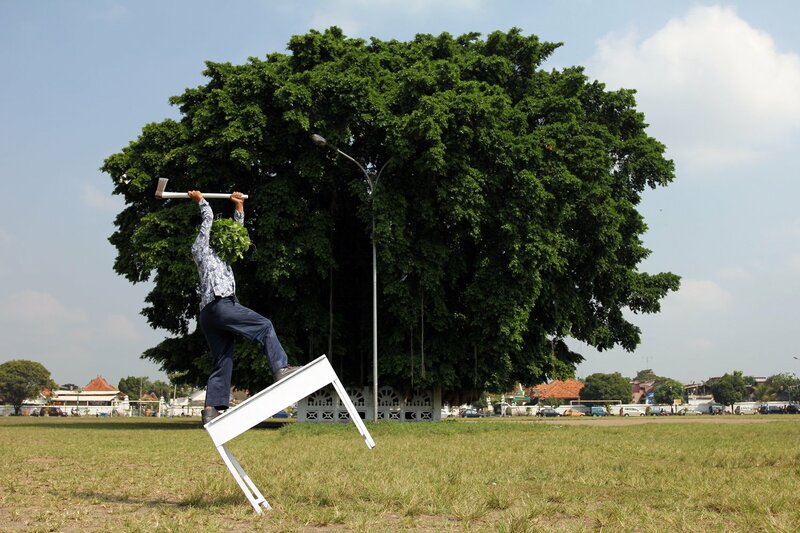 The metaphor is particularly fitting for Indonesia, the dynamism of which Jim Allen Abel was interested in capturing. 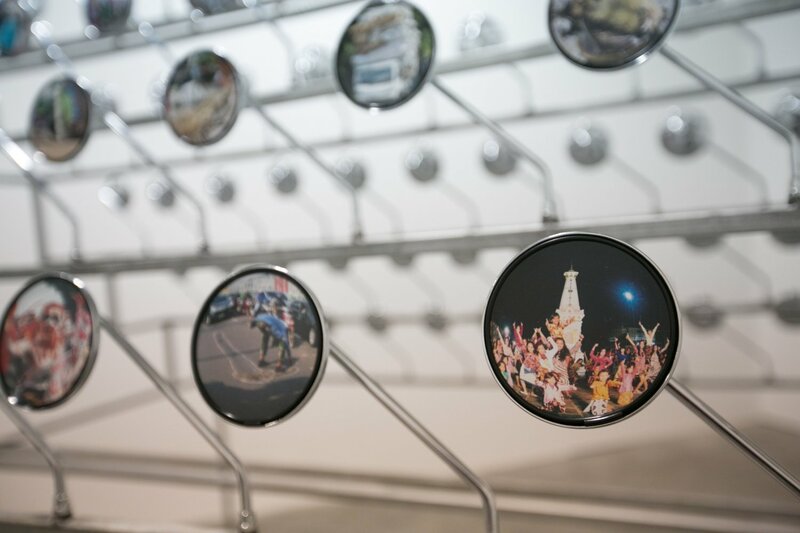 Conceived in 2010, the current version of the installation shows “updated” photographs taken more recently. The artist is planning to produce a new version of the work every five years, in order to reflect the changes in his city Yogyakarta. “In exhibiting this work, I’m also thinking about the current Singapore Biennale, the theme of which is “An Atlas of Mirrors”. I’m basically telling the Biennale curator: I also have a work relevant to that theme! I should have been there too!” laughs Jimbo. Born in Makassar, South Sulawesi in 1975, the artist studied photography at the ISI in Yogyakarta, at a time when photography was not considered art in Indonesia. His decision to experiment with what in Southeast Asia was then considered a new medium was born of chance and, some would say, practical necessity. So in the beginning you chose to study photography at ISI Yogyakarta mainly for the lifestyle! Yes! And when I was four semesters in, I left to follow a pop-rock band of a friend of mine from Surabaya; they‘re called Padi and are very famous in Indonesia. He asked me to tag along to take pictures and document the tour. It was a dream come true and also a paid job, like… whoa!!! For five years I travelled around Indonesia with them off and on. At the same time you kept on studying photography. How was photography seen in Indonesia back then? Back in the day photography was not seen as art. All the professors came from an advertising or photojournalism background; it was all about technical teaching. 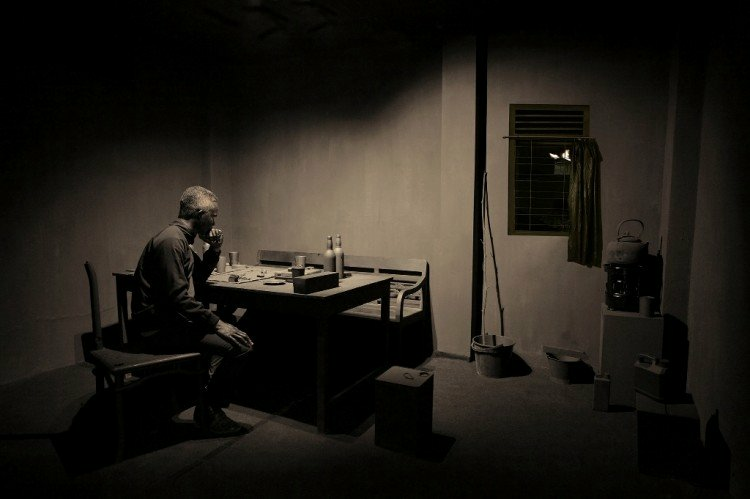 In Indonesia at the time it was either photojournalism or Salon Foto, meaning landscapes or portraits – nothing else. The Salon Foto scene had an active community and their own awards. We started criticizing these traditional photographic genres and wondering why they were the only option. At university I was learning a lot about art from my friends and discussing the potential of photography in that field. In ’97/’98 you couldn’t find a lot of material either. We wanted to communicate between and connect photography and the art department. We started drawing inspiration from books, films and music, sharing everything that looked interesting. It was a really good time. We were looking at books of Andy Warhol’s work, surrealist Asian photographers… It was then we started experimenting with analogue photography in the dark room. Even the simple creation of new effects by scratching the film, it was like… whoooaaa! (laughs) It was so unexpected! We were just playing around, and every discovery surprised us! We felt as if we were redefining the beauty standards for photography! The Salon Foto of course didn’t recognize our work as art. Was it then that MES56 started? MES56 started because we felt we didn’t have any place to go. The photography scene wouldn’t accept us; visual art was also suspicious. We were only students at the time. That’s why in 2000 we started our own space, which became MES56 formally in 2002. It actually started like a dormitory house where we were always hanging around, and then we started using the walls to hang the works. At the time in the visual art scene alternative spaces were really popular. Since MES56 has been around, the definition of photography in Indonesia has expanded. MES56 has been producing work for almost 20 years, and I can see the new generation is somehow walking in our footsteps. How did your individual practice develop in that context? In that period I started thinking about what art was really about. I had stopped following the bands around and started reading and discussing with friends every day. But after graduation I left Jogja for a while, moved to Jakarta for almost five years and started working in advertising. In the meantime I was still making and thinking about art. One day I woke up and start wondering why in the world I was there, in Jakarta, in that job I didn’t like. I was working on very important advertising campaigns, but the creative aspect was just not there. I was working under an art director that would decide every single detail of my photographs. So I quit, basically overnight, went back to Jogja and decided to be a full-time artist. Was it then that you started delving into historical and social issues? Yes, at the time I started thinking about my own background in Sulawesi. My father was a history teacher in high school and I have always argued with him about Indonesian history. These discussions have really influenced my ideas and perspective when making art. I’m still very interested in the history and the social dimension of our everyday lives. In that regard I found your series “Burning Down the History” pretty different from your previous work. The surreal element is still there. I started making that work five years ago, when MES56 was invited by Semarang Gallery to have a solo show there. We decided to explore the city of Semarang, which is not really far from Jogja, but still quite unknown to us. To learn more I starting following a forum of local architects on which it was mentioned that there was no archive of Semarang before 1984, because the colonial archive burned down. That interested me and I started quite through research that lasted almost three months. And then, just before starting to do the actual work… I was sent to jail! Yeah… four months for one little piece of weed! When I got out, I abandoned the project. But at the exhibition at Semarang gallery my friends still hung on the wall all my research for the project. Two years later a curator from Bangkok saw the catalogue with the documentation and invited me to finish the work and exhibit it at the Bangkok Contemporary Art Centre. At the time it was just photographs, and one year later in 2016, I complemented the work with a site specific installation for the fair Art Jog. One last question: is there a work that you are particularly fond of or that you regard highly in your artistic output? I think the work that introduced me to the art scene was the Uniform Series. It was about how people were thinking about social structures and relationships in Indonesia. It was as much personal as it was a wider look at the society around me. With that series, it was perhaps the first time that I intentionally tried to draw in the audience as much as possible, making them feel a connection with the work. Hence I chose uniforms everyone is familiar with. It was about playing with the viewer’s perception, and, in a way, all my work is about that, though always with an eye on history. Jim Allen Abel (b. 1975, Ujung Padang, Indonesia) lives and works in Yogyakarta. He studied photography and interior design at the Indonesian Institute of the Arts, Yogyakarta. 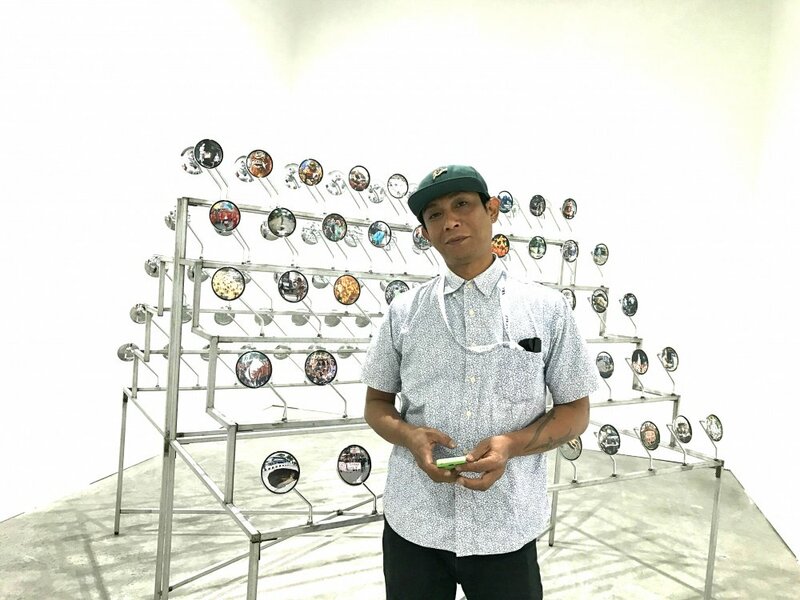 In 2002, he and fellow students from the Indonesian Institute of Arts in Yogyakarta founded the MES 56 collective, named after the former air force barracks they set up in. The members’ aim is to subvert the conventions which, in Indonesia, reduce the photographer to a tukang portret – a “portrait coolie” – who exists just to fulfil commissions. Jim Allen Abel (JIMBO)’s photographs explore the idea of identity and national- ity, and how the telling of history is manipulated for political purposes. 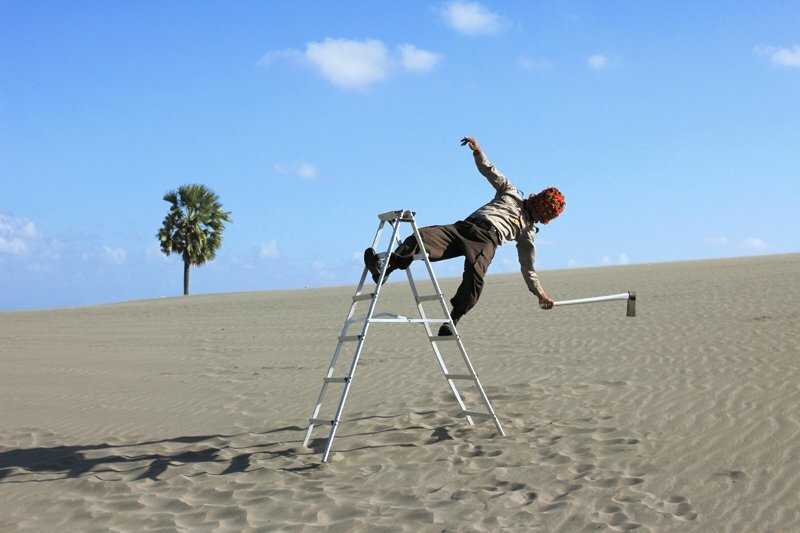 He investigates into systems of representation, and how authority and power are represented. How then can art reflect the truth or attempt to rectify historical myths? His work was most recently exhibited at Bazaar Art Jakarta 2016 and at ArtJog|9, where he exhibited Brief Study of the Lost History: 1854 – 1954 at Artjog|9, which is based on the burning of the “papak building,” or government headquarters in central Java in November 1954. All ancient archives, including the histories of the city of Semarang, Java during the Dutch colonial era were lost in the fire. Jim’s inquiry into a historic fire becomes a provocation of lost national identity.